-- More Colorful Bands are available, welcome to MOTEEV Store. [For all 38mm iwatch models] Includes 3 Pieces,for 2 Lengths, S/M and M/L Size for Women and Men Use. Replace Your 38mm iwatch band easily and directly. 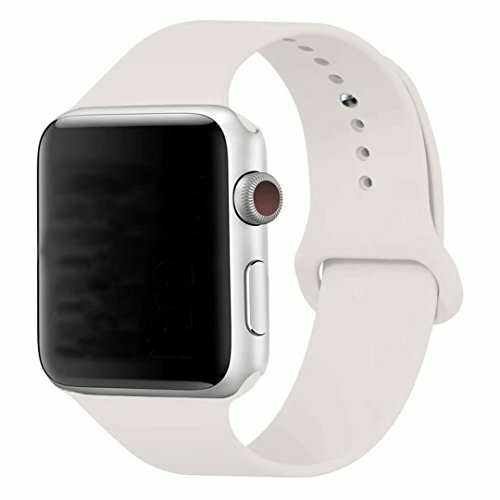 Best Silicone Materials : The Apple Watch bands are made of high performance silicone materials and is waterproof and weatherproof. Durable and soft materials across your wrist provide the most comfortable wearing experience. If you have any questions about this product by MOTEEV, contact us by completing and submitting the form below. If you are looking for a specif part number, please include it with your message.